20% Off on book your Responsive Website today! 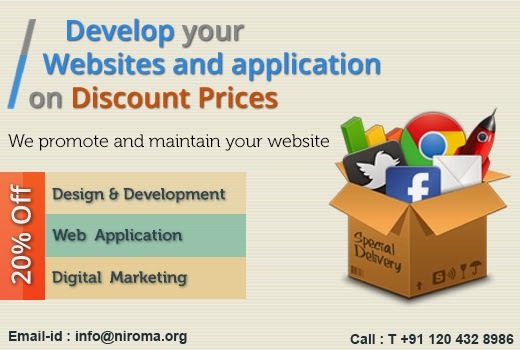 Internet Marketing, Web Designing & web Development. Hurry Up! to get these offers. Offer avail for 15 May.